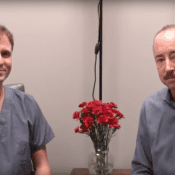 Stem Cell Injections Testimonial – Knee Pain Relief and More. Testimonial about Trigger Point Injection treatments done at our Cincinnati office. Pain relief at last! And numbness and tingling does not have to come from nerve! Wellness Words: What Are You Avoiding? What are you avoiding? Are you hard on yourself about the numbing activities you engage in? Listen to find out how to bring in compassion vs. judgement. Check out Episode #8 of Wellness Words, where Dr. Blatman and Erin Fritts of Simplify and Balance discuss choosing high quality foods. “Move away from fake food, and move to real food.” Starting with small changes still counts! In Episode #6 of the Wellness Words vlog, Dr. Hal Blatman and Erin Fritts of Simplify and Balance discuss embracing creativity and how certain changes in lifestyle (perhaps cutting out certain foods) can be a great time to start a creative hobby! Check out Episode #5 of the Wellness Words vlog, where Dr. Hal Blatman and Erin Fritts of Simplify and Balance discuss dealing with the changes people make to better their health, and how those changes can affect the people around them. 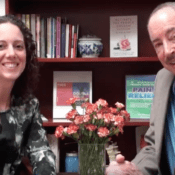 In the latest Wellness Words vlog, Dr. Hal S. Blatman and Erin Fritts discuss why it’s important to look past symptoms to dive deeper into the cause of your pain. Listen to your body, and listen to this video. 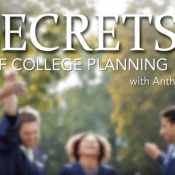 Ready for a life change? People who want to experience something different, have to make room for those new experiences. Listen Episode #3 of Wellness Words to take steps to clear out the clutter! Wellness Words: Ready To Change Your Health? Connect With Your WHY. 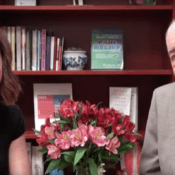 In this week’s “Wellness Words” episode, Dr. Hal S. Blatman and Erin Fritts focus on the “why” – why would someone want to make a change in their lifestyle. The “why” is key in determining what CAN be changed to help make them feel better. CBD Oil in Ohio: Is It Legal? The legality of CBD oil has been brought into question many times over the years. First off, it’s important to note that there are two types of CBD oil: one derived from hemp plants that don’t contain THC and one that does. CBD oil that comes from marijuana plants can only be sold in states that have medical marijuana laws. On the other hand, hemp-derived CBD oil can be found in retail stores and online throughout America. Hemp-derived CBD oil is non-psychoactive and relied upon by tens of thousands of children and adults across the country. Ohio cannabis oil can be obtained now at many natural health stores and holistic doctor offices across the state.